Clive Walford Hurt Draft Stock? NFL.com‘s Lance Zierlein says Walford has been hurting his stock throughout the interview process. (2/2) NFL TE coach said of Walford: “Acted like he was doing us a favor by even talking to us. Asked about an issue he had & he got pissy"
Miami RB Duke Johnson "is one of the fastest players in this class, with elite burst to and through the hole," notes ESPN's Todd McShay. "One of the most important qualities in a running back is the ability to create yards on your own, and Johnson can do that with his ability to make defenders miss in the hole and with his electrifying lateral agility," McShay wrote. "He can stop and start on a dime and can quickly change directions while working through multiple creases. Running plays don't always go the way you draw them up on the chalk board, so a lot of times you need to find the second crease, which is why Johnson's ability to change direction without losing momentum is so important." Johnson led draft-eligible backs from Power 5 conferences in percentage of rush attempts that gained 10 or more yards (18.7 percent) last year. "He is also an excellent pass-catcher, with his ability to quickly transition upfield after the catch and then make defenders miss in the open field," McShay wrote. Johnson is also a good kickoff returner. 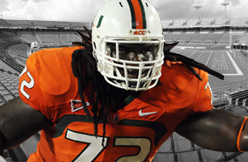 An NFL scout said Miami T Ereck Flowers is a "big, rugged, physical right tackle" and is an immediate NFL starter. "Violent, physical player," another scout said. "Fundamentally, he's got to clean some things up. He ducks his head. He tries to win with all upper body. He's got to learn to play with more patience." Flowers led offensive linemen with 37 bench press reps at the combine. "Strictly a right tackle or guard," a third scout said. "He can't play left tackle because he isn't quick. He is powerful and he does have an anchor. He's stiff, so he has problems with adjust and recovery. He carries his hands low. He needs a lot of work with his hands. Big disappointment of the (top) group." Rams re-signed exclusive rights free agent OG Brandon Washington to a one-year, $585,000 contract. Washington was the Eagles' sixth-round pick in 2012. He was part of final cuts that year and has been with the Rams ever since. Viewed as a project with upside coming out of Miami, the time is now or never for Washington. He has a great opportunity ahead of him with the offensive line-starved Rams. 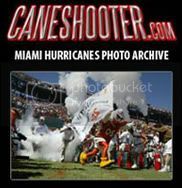 Earlier this afternoon, Drew Rosenhaus announced on Twitter that former University of Miami linebacker Thurston Armbrister has signed with Rosenhaus Sports Representation. As part of an 18-member 2011 signing class that featured four four-star recruits, Thurston Armbrister played his college football career with a chip on his shoulder. In the summer that followed his graduation from Hollywood Hills HS (FL), Armbrister found himself with a zero-star recruiting rank and only one scholarship offer. It wasn’t until Miami’s Mark D’Onofrio took notice of Armbrister’s speed, size, and potential that Armbrister realized his dream to play NCAA Football Bowl Subdivision (FBS) football. Following a move to the linebacker position following his freshman year, Armbrister continued to grow in his new role, and has made his presence felt ever since. So much so that, today, Thurston Armbrister has “worked his way up” from an un-ranked, un-recruited and, perhaps, under-valued high school player to signing with an NFL super-agent and preparing for the 2015 NFL Draft. Projected as the 55th-best pick at outside linebacker, Armbrister is praised for his intangibles, such as his playmaking abilities, as well as his tangible skills, including his strength at the point of contact. Armbrister may find that his best chance to enter the League will come in the form of a 7th-round selection or as an undrafted free agent signing in the days following the conclusion of the Draft. Drew Rosenhaus is no stranger to Miami Hurricane football, so it comes as no surprise that he and Rosenhaus Sports Representation have signed another ‘Cane. Rosenhaus has served as player-representative for several football stars who profess an unwavering allegiance to “The U,” of the most notable are Warren Sapp, Zach Thomas, Frank Gore, and Willis McGahee. There's one area of Duke Johnson's game that the 5-foot-9, 207-pound speedster thinks is far more advanced than any other running back in this year's draft class. 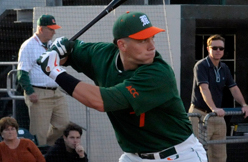 "I would say that I catch better," the Miami product told FOXSports.com on Tuesday. "I create the biggest mismatch when I'm lined up as a receiver or if I'm running routes out of the backfield." Johnson, who caught 38 balls for 421 yards and three touchdowns during his junior season, also showed versatility in the kick- and punt-return games during his sophomore season, averaging 33.1 yards a return while scoring two touchdowns. 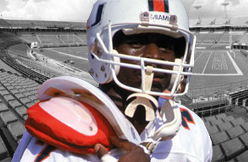 But Johnson made his name by etching himself into Miami's record books. Topping illustrious names like Edgerrin James, Clinton Portis, Frank Gore and Willis McGahee, Johnson became the school's all-time leading rusher (3,519 yards) in an abbreviated two-and-a-half year career. Johnson missed six games during his sophomore season after he broke his ankle. "Durability questions come down to my size," Johnson said. "People wonder if I'll be able to hold up against the bigger guys for 16 weeks plus playoffs. I broke my ankle once in college that required me to miss six games in my sophomore season. Outside of the broken ankle, I've never been hurt." The size question isn't something that can easily be dismissed. Johnson, however, has proven that he has traits of being an every-down back. One of the most challenging aspects young running backs face in their first season in the league is picking up the blitz and pass protection. "It's all about knowing where guys are coming from before they come," Johnson said. "That comes down to preparation and watching film. I want to know where guys are coming from before they do so it gives me an upper hand when we actually make contact." During Johnson's media tour in Los Angeles, he told NFL Network studios and proclaimed that he could run the Cowboys' outside-zone scheme in his sleep. On Tuesday, when asked what it'd be like to play with another local Miami product and Vikings quarterback Teddy Bridgewater, Johnson drew a big smile and said: "We'd make history. "Teddy likes to check the ball down, so that would give me plenty of opportunity to do some damage." No matter where Johnson lines up on Sundays, though, he's sure to be a game-changing factor. 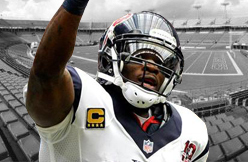 Colts wide receiver Andre Johnson reiterated on Wednesday that he didn’t sign to play in Indianapolis simply because it would offer him a chance to face the Texans twice a year. Johnson said again that he has “bigger goals” than beating the only other team he’s played for in the NFL, but the lack of desire to make things about getting back at the Texans doesn’t mean that Johnson left Houston with only sunny memories. Johnson admitted the end of his run with the Texans wasn’t overflowing with good times. Part of that breath of fresh air has to include playing with Andrew Luck after cycling through several quarterbacks while with the Texans. Matt Schaub was the most accomplished player of that group and Johnson showed them all some kindness by putting a unnecessary qualifier on his assessment of Luck’s skills. Playing with a quarterback like Luck offers Johnson a chance to return to the playoffs and perhaps make a deep run into the postseason, which would put him on a path to fulfill those “bigger goals” that were never realized in Houston. 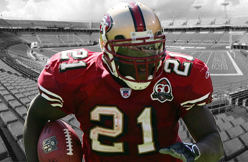 INDIANAPOLIS – Frank Gore was hiding. Speaking barely above a whisper on Wednesday, Gore was inside the media-shaped horseshoe laying out how his early days as a Colt were going. His disguise wasn’t intended, but the 5-9 Gore would love to be incognito from opposing defenses later on this year. Gore was an eager study when the Colts kicked off their offseason program on Monday morning. After 10 seasons with the San Francisco 49ers, Gore is entering a spring like no other in his NFL tenure. “I want to grow with my teammates, grow with my coaches, get the playbook down pact so when I come back from camp I can just get going and rolling, go out there and just work,” Gore said of his initial mindset with the Colts. The 31-year-old-Gore arrives in Indy with a resume that dwarfs that of any other recent Colts running back. As the tread on Gore’s tires grows, he continues to produce. Gore enters 2015 on the heels of four straight seasons of at least 1,100 rushing yards. In playing 64 straight games, Gore’s consistent availability is something the Colts have struggled to maintain in the backfield. That’s why, when Gore hit the open market earlier this year, the rumors of him to Indianapolis seemed ideal. A team in need for a durable ball carrier could find that description in a veteran itching to join an organization built for postseason success. One of the Colts greatest selling points to Gore, and frankly every free agent this offseason, was the man handing him the ball in 2015. Gore has enjoyed listening to Luck’s direction this week. “Just being out there throwing balls, he’s doing the small drills that a quarterback does,” Gore said of his new quarterback. Luck’s fondness for Gore extends back to the quarterback’s days at Stanford. Sunday’s in college were days of relaxation for Luck and that meant football was on the tube. Bay Area residents had an up close look at Gore each week, and Luck certainly admired how the then 49ers running back played the game of football. “You talk about a tough guy, a tough runner, a tough blocker and a guy you can tell that does things for his teammates and is a team-first guy,” Luck said of Gore. Seattle Seahawks fans aren’t the only ones excited about this offseason’s addition of superstar tight end Jimmy Graham — quarterback Russell Wilson is excited, too. Wilson just spent a week with Graham and numerous other Seahawks for a training and team-building session in Maui. The trip was well-publicized via social media, and appears to have been a healthy mix of conditioning and fun. Graham, 28, joined the Seahawks in a March trade with the Saints. The deal sent center Max Unger and a 2015 first-round draft pick to New Orleans, and Seattle also received a fourth-round selection in return. “Just to have (Graham) down in Maui I think was a great opportunity for him to really bond, and for us just to — as a team — to just really experience everything together,” Wilson said on Q/13. “And he fits in great. It’s going to be a great experience for him, but also for us as a team. With the 2015 NFL Draft nearing, the Bengals have done little to improve their linebacking corps this offseason. It's even arguable that linebacker is the Bengals' biggest weakness right now, assuming Vontaze Burfict misses some of the 2015 season or doesn't start the season in his pre-injury form, after microfracture surgery. A.J. Hawk was signed after being cut by the Packers, but at this point in his career, he's better suited as a backup who only sees 10-20 snaps per game. Even with the signing of Hawk and re-signing of Rey Maualuga, it's safe to think the Bengals will look to add a linebacker in this year's draft. That's where Miami middle linebacker Denzel Perryman could come in. Omar Kelly of the Sun Sentinel reports that Perryman recently visited the Bengals. The 5'11" 236-pounder is one of the top ILB prospects this year after racking up 218 total tackles over his past two seasons in Coral Gables. Perryman's visit with the team may have occurred around the same time Cincinnati hosted TCU linebacker Paul Dawson. Even though Perryman and Dawson have been touted as possible first-round picks, neither is projected to go in the first round by CBS Sports' four-man mock draft crew. In fact, Perryman is ranked the 85th-overall player and a third-round prospect by CBS, so it's possible Cincinnati could grab him with their first third-rounder (ironically, the 85th overall selection). 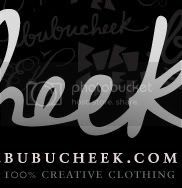 Ereck Flowers to Giants at No. 9 overall? NJ.com's Jordan Raanan predicts Miami T/G Ereck Flowers will be the Giants' pick at No. 9 overall. Raanan says he'd fully expect the Giants to draft Clemson OLB/DE Vic Beasley if he lasts to No. 9, but doesn't anticipate Beasley making it there. Flowers would add run-blocking prowess to New York's offensive line, but is a major work in progress as a pass protector. He's best suited to play guard. According to multiple reports, including that of 247Sports' Ryan Bartow, Michael Irvin Jr. has transferred to St. Thomas Aquinas (Fort Lauderdale, Fla.). Irvin spent his first three years of high school at Prestonwood Christian in suburban Dallas, but withdrew from the school earlier this month. He adds another offensive weapon to a St. Thomas Aquinas squad that already features electric receiver and Miami commit Sam Bruce and class of 2017 standout Trevon Grimes. Irvin has already racked up 223 career receptions for 2,741 yards and 34 touchdowns. He had 22 catches in a game against IMG Academy last fall. St. Thomas Aquinas is the alma mater of Irvin's father, Michael Irvin, who starred at the University of Miami before a highly-successful NFL career. "Probably the best quarterback I've ever played with," he said Wednesday, via ESPN.com. "I'm excited about the opportunity. I just can't wait to continue to keep working with him and keep learning." Ken Dorsey, Rex Grossman, Tom Savage, David Carr, Tony Banks, Sage Rosenfels, T.J. Yates, Jake Delhomme, Matt Leinart, Matt Schaub, Case Keenum, Ryan Mallett and Ryan Fitzpatrick. I think you're clear to say he's the best, Andre. Johnson said he's only caught a few footballs from Luck so far but that he can already feel the chemistry developing. He'll be motivated to finally play on a roster with playoff expectations year in and year out. "Being in one place for a long time, the past two years have been pretty frustrating," Johnson said. "Just being here is like a breath of fresh air for me." Now, he'll hope that Luck can take him further than any of his previous quarterbacks could do. 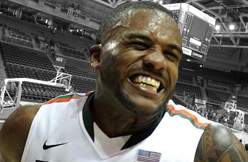 INDIANAPOLIS --- May 13th will mark the one year anniversary of Colts tight end Erik Swoope playing organized football, and all 365 of those days have been a trial by fire in the NFL, after playing four years of college basketball for the Miami Hurricanes. After a rookie season on the Indianapolis practice squad where he went from 220 pounds on the hardwood to 246 pounds on the gridiron, Swoope (pronounced “Swope” has defined goals for year two after adding 26 pounds to his frame. That means knowing his assignment on any given play on offense or special teams before the ball is snapped. That’s a confident statement from Swoope, considering he literally had no idea what to expect when he walked into the building as a football player for the first time last offseason. And Swoope points to his time on the practice squad last season as valuable for a number of different reasons. Posting up on the block is now getting inside position in the red zone, and a quick twitch off the line of scrimmage is the new crossover. Swoope follows in the footsteps of Seahawks tight end Jimmy Graham, who also played basketball for Miami in college before spending his first five years in the NFL with the New Orleans Saints (three of which were Pro Bowl seasons). Unlike Swoope though, Graham played one season of college football as a graduate student before being drafted in the third round. Swoope didn’t have that luxury before signing as an undrafted free agent, but not until he consulted with Graham himself. “The main thing Jimmy did was ask me character questions --What motivates you?" Swoope told NFL.com last year. "He said, 'If you're going to make this change, don't let it just be on a whim. If it motivates you, strive for it.' We didn't talk about X's and O's, just about character." The X’s and O’s have come throughout the past 11 months, and the tape study of the great tight ends in the NFL has helped too. At 6’5”, Swoope is an inch shorter than Colts tight ends Coby Fleener and Jack Doyle but two inches taller than Dwayne Allen on the roster; although, Swoope is still the lightest of that group, listed at 246 pounds. The position is deep on the Colts roster, as Swoope continues his quest to master a new sport at the professional level, but it will be an intriguing evolution to observe as the offseason program continues. Honors: A first-team All-ACC running back in 2014 with 1,652 rushing yards, Johnson also earned second-team All-ACC honors in 2013. Key stat: With 3,519 rushing yards, Johnson became the Hurricanes’ all-time leading rusher in just three seasons. In 2014, Johnson had six straight 100-yard games including 249 vs. Virginia Tech. Where He’s Projected: Johnson appears to be a solid second-round pick, with the outside shot of slipping to the third. If the Cowboys don’t draft a back in the first round, the former Hurricanes standout seems to be a good fit at No. 60. Johnson is firmly in the second tier of backs with Tevin Coleman, Jay Ajayi, T.J. Yeldon and Ameer Abdullah. How He Helps the Cowboys: Johnson could slide right into the Cowboys’ offensive plan as an immediate contributor. While he might not beat out Darren McFadden for the starting job right away, Johnson would be talented enough to garner 8-10 carries right away, with the ability and potential to become the eventual starter. He’s got good vision and power and catch the ball out of the backfield, making him a candidate for a third-down back, but he’s got to convince the club he can handle the blitz pick-ups as a blocker. 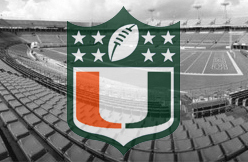 University of Miami tight end Clive Walford had a predraft meeting with the Ravens, according to NFL sources. Walford dominated Senior Bowl practices, especially in red-zone drills. He is the second-ranked tight end in the draft, behind University of Minnesota tight end Maxx Williams. He's generally graded as a second-to-third-round draft pick. The Ravens are in the market for a tight end due to tight end Dennis Pitta's uncertain status. Pitta has dislocated and fractured his right hip twice in the past two seasons. Walford ran the 40-yard dash in 4.79 seconds at the NFL scouting combine during which he also bench pressed 225 pounds 20 times, had a 35-inch vertical leap and a 10-foot broad jump. The 6-foot-4, 251-pound tight end was a second-team All-Atlantic Coast Conference selection and a third-team All-American last season. He was a finalist for the John Mackey award. Walford tore his meniscus and missed the Hurricanes' bowl game. As a junior, he started every game and caught 34 passes. He caught 25 passes for 451 yards and four touchdowns as a sophomore. Walford didn't start playing football until his senior year of high school. He averaged 13 points and 15 rebounds per game as a basketball player at Glades Central in Palm Beach, Fla.
Walford caught 121 career passes and scored 14 touchdowns. He had combine meetings with the Ravens, Green Bay Packers, Atlanta Falcons, San Francisco 49ers, Miami Dolphins, Jacksonville Jaguars, Tampa Bay Buccaneers and Detroit Lions. There are some questions about his consistency, though. Walford showed he was healthy at the Senior Bowl after undergoing an arthroscopic procedure on his right meniscus. "It was very important because I was told that people thought I tore my medial collateral ligament, which I didn't," Walford said. "I just had a scope on my right meniscus. I just wanted to go out and show everybody that I was healthy." Unpacking the 2015 NFL schedule, we listed the Indianapolis Colts among the handful of teams who were treated kindly by the schedule-makers. After all, they play in the humdrum AFC South while three of their most rugged opponents -- the Patriots, Broncos and Saints -- are locked in as home games for quarterback Andrew Luck and friends. It's icing on the cake for an AFC heavy that grew more powerful in free agency, adding hammer-dropping running back Frank Gore and veteran wideout Andre Johnson to an offense that posted the sixth-most points per game (28.6) in 2014. Luck on Wednesday beamed over the addition of Johnson, while taking a lighthearted shot at their age difference. "I was in eighth grade when he was drafted," Luck quipped, per Mike Chappell of RTV6. Johnson's prime is behind him, but the former Texans star looms as an immediate difference-maker for the Colts come September. Few receivers have put up bigger numbers with less talent at the quarterback position. Now paired with Luck inside a passing game that also includes T.Y. Hilton, Donte Moncrief and tight ends Coby Fleener and Dwayne Allen, Johnson's long-held dream of reaching the Super Bowl has never burned brighter. 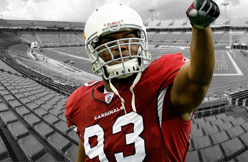 If you ask Arizona Cardinals Pro Bowl defensive end Calais Campbell what player he likes coming out of the 2015 NFL Draft class, he doesn't give you an answer right away. On the latest "Big Red Rage" podcast, on which Campbell regularly appears, Campbell was asked that question. At first, he hesitated, but then gave the name of a player from his alma mater who could also fill a need the Cardinals have. He likes Miami inside linebacker Denzel Perryman. The Cardinals could be looking to add a player at inside linebacker. Daryl Washington's future with the team and the league this season is still unknown. 2013 second round pick Kevin Minter has yet to step up and become the player the team has hoped he would. The team did sign Sean Weatherspoon to a one-year contract out of Atlanta, but another at the position could be in play with the draft. Perryman could potentially be that guy. "My man Perryman from Miami, I think he's going to be a stud," Campbell said. "He has a lot of the same issues that Ray Lewis had coming out. He's too small. I don't think that really matters in the NFL these days if you can play sideline to sideline." Yes, Campbell did just compare Perryman to the future Hall of Famer, but it was only in the context that both had a knock coming out of college as being too slight play inside linebacker in the NFL. He is 5-11 and 236 pounds. He ran a 4.7-second 40 at his Pro Day. 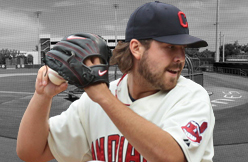 He has not been projected to be a first rounder in quite a while, although he has been mocked to the Cardinals before. Would he be a good fit in Arizona, and could be be the stud Campbell thinks he will be? Or is this just another case of a player being a bit of a homer because the player comes from school he attended? Peter O'Brien was white hot at the plate at the beginning of the week. The right fielder had consecutive three-hit games Monday and Tuesday and homered in three straight contests. For the week, O'Brien hit .417 (10-for-24) with three homers and six RBI. He could be in consideration for a call-up from the parent club as the D-backs scored only two runs while getting swept by the Pittsburgh Pirates over the weekend.